Cortana is unshackled from Microsoft Edge once again. One of the great horrors of Windows 10 is that Microsoft forces you to use Bing and Microsoft Edge with Cortana. When you search with Cortana, any web searches are automatically sent to Bing and displayed in the Edge browser, no matter what your default browser is. It wasn’t always this way. Before April 2016 you could use any browser you wanted, although Cortana still insisted on Bing for search. But then Microsoft put a stop to browser choice, and Cortana-loving Edge haters have been recoiling ever since, until now. 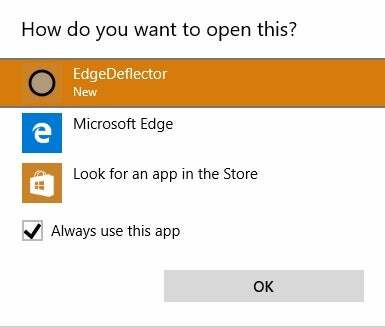 Norway-based developer Daniel Aleksandersen recently created a program called EdgeDeflector that puts a stop to Cortana’s shenanigans. It forces Cortana’s searches to open in your default browser instead of Edge. It’s a really great little customization, but EdgeDeflector doesn’t install on your system like most programs. Don’t worry though, it’s not that hard. Before you do anything, you have to create a folder somewhere on your system to keep the EdgeDeflector EXE file. To stay organized, I did this inside the Program Files area of Windows, and I will illustrate the instructions with that example. For this to work, you’ll need to be logged in as an administrator. 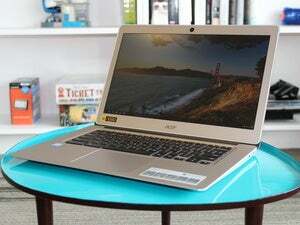 If this is your personal computer and you followed the standard installation of Windows, then you’re already an administrator. Hit the Windows Key + E to open File Explorer. Next, in the left-hand navigation column click on This PC and then select your primary storage drive—usually C.
Scroll down the list of folders and select Program Files—if you have a folder called Program Files (x86) that will work as well. You must authorize creating a file in this folder. Double-click on either folder, and then at the top of File Explorer hit New folder. In the pop-up window that opens click Continue and a new folder will be created. Name it “EdgeDeflector” and hit Enter. Now, download the EdgeDeflector EXE file from Aleksandersen’s GitHub profile, and stash it in the folder we just created. A pop-up window appears again, and you’ll have to click Continue again. Now that the EXE file is where you want it, double-click on it. A User Account Control window will appear asking if you want to install the program; click Yes. Now, we’re ready for action. Ask Cortana something you know will trigger a web search, such as, “What are the showtimes for movies in my area?” You can either ask that question with voice commands, or type it into Cortana and hit Enter. 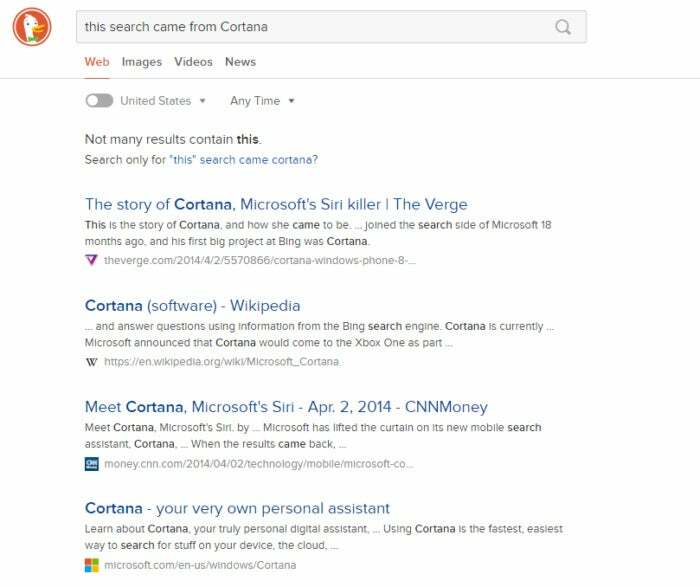 Set EdgeDeflector as the default for Cortana web searches. It may take a second on your first test of EdgeDeflector, but just wait and a window will appear asking you which program you want to use as the default for Cortana web searches. Choose EdgeDeflector, make sure the box labeled Always use this app is checked, and click OK.
That’s it. Your searches are now being redirected to your default browser, but they are still using Bing. At this point you can redirect Cortana searches to Google or DuckDuckGo on Chrome using the Chrometana extension. Chrometana hasn’t been updated since Microsoft disallowed using Cortana with other browsers, but with EdgeDeflector installed the extension works again. Firefox used to automatically redirect Cortana searches to your browser’s default search engine. That feature no longer exists. The downside of EdgeDeflector is that it doesn’t update automatically since it has an unusual installation method. Upgrading the program manually means downloading a new EXE file from GitHub and replacing the old one. To keep apprised of new versions you can either subscribe to this RSS feed that will alert you to changes, or you can check in with Aleksandren’s GitHub project page from time-to-time—such as when (or if) EdgeDeflector stops working. Microsoft could push out an update that breaks EdgeDeflector at some point in the future. For now, however, it works nicely.